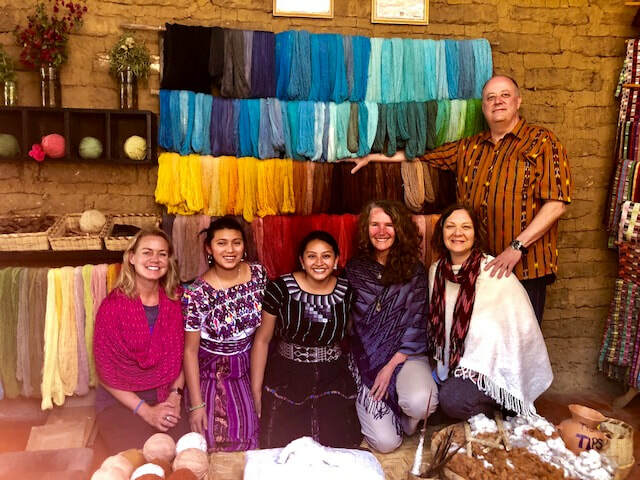 OMEC began a partnership with the Women’s Weavers of Casa Flor Ixcaco during the April 2018 Guatemala trip with Llyn Cedar Roberts. It was an auspicious event for these two organizations to view their potential work together. The women were thrilled when we (OMEC) offered our assistance. Casa Flor Ixcaco’s main representative stated, “We’ve known the right nonprofit organization would come along for us to work with”. OMEC recognizes Casa Flor Ixcaco as an authentic women’s co-op with a mission aligned with OMEC in encouraging a sacred and responsible relationship with the Earth as well as honoring and preserving ancient ancestral wisdom. You can find the women’s weaving co-op handmade textiles (100% natural dyes and organic cotton) at events throughout the country that support and reflect OMEC’s mission. 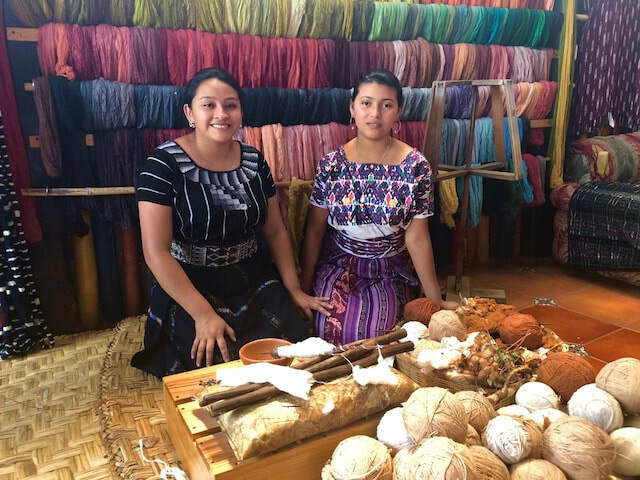 The women acknowledge the positive energy they transmit to the world through their back-strap loom weaving, as passed down from Maya ancestors. Look on our Events Calendar to find an event near you. Casa Flor Ixcaco was founded in 1996 by Teresa Ujpan Perez. At seven years of age, Teresa was sent to the southern coast of Guatemala to pick cotton when her family fell upon economic hardship. She took with her a back-strap weaving loom that would ultimately become the vehicle for her livelihood. Teresa Ujpan Perez spent years learning how to work with the Earth and by the 1980s had mastered how to cultivate and spin cotton. In 1996, she organized five women in the community to found Casa Flor Ixcaco. Today this women’s weaving co-op provides a livelihood for over 100 community members and stands as a direct source of economic activity for 34 women. The women explain that as they weave, they are working with ‘the energy’ – the energy of the feminine womb, which they radiate out to the world through their textiles. Casa Flor Ixcaco makes all their products with 100% organic cotton grown in the local mountain, using age-old techniques to turn the cotton into threads for weaving. All natural color dyes are used from plants, flowers, trees, and spices, no chemicals, to help preserve the environment. All methods used in creating the fabrics, and the understandings of how to transmit energy through their weaving work with the backstrap loom, have been passed down from their ancestors for many generations and are dedicated to continuing and preserving the tradition. You can find the women’s weaving co-op handmade textiles (100% natural dyes and organic cotton) at events throughout the country that support and reflect OMEC’s mission. You can donate to Indigenous Projects at the tab below. 100% of proceeds from your donation goes directly into Indigenous Projects.